I decided to do a little experimenting in the kitchen yesterday with two of my favorite treats… Reese’s peanut butter cups and chocolate chip cookies. The results were mind-blowing! In a large bowl, cream together the butter, white sugar, brown sugar and vanilla until smooth with electric mixer on medium speed or with spoon until light and fluffy. 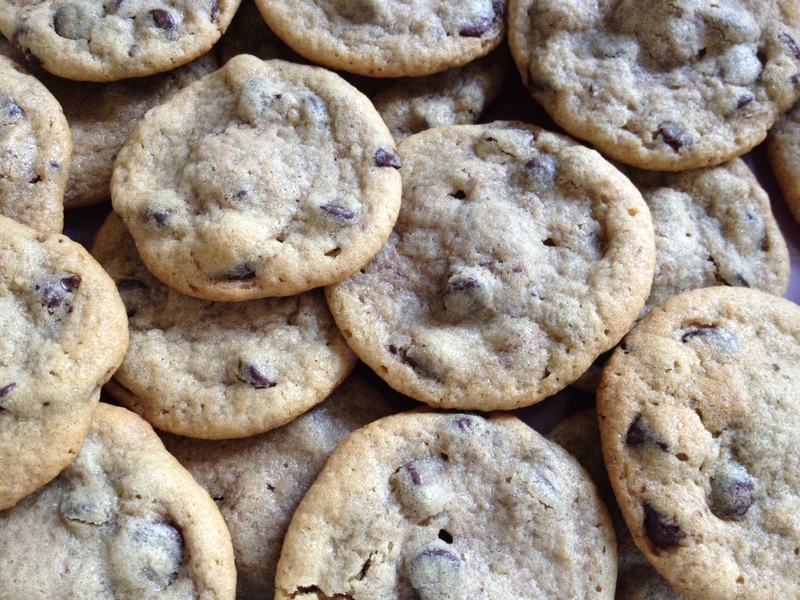 Stir in flour, baking soda, salt and chocolate chips. Measure out about a tablespoon of cookie dough. Roll into a ball and then flatten in the palm of your hands. Place a mini Reese’s peanut butter cup in the centers of the flattened dough balls and form dough back into a ball around the Reese’s. Place Reese’s stuffed dough balls into the freezer for 10-15 minutes before baking. Place dough balls 2 inches apart on cookie sheet lined with parchment paper or a silicone baking mat. Bake 11 to 13 minutes or until light brown (centers will be soft). Cool 2 minutes; remove from cookie sheet to cooling rack. 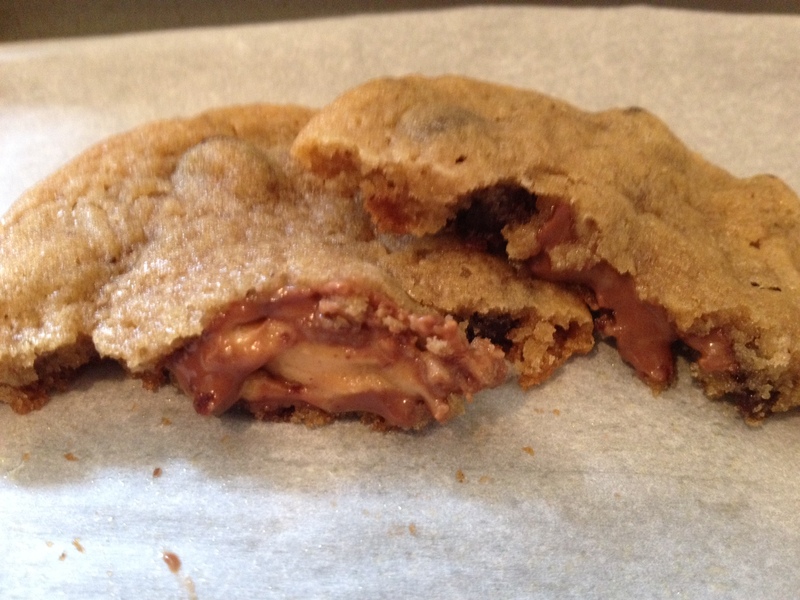 This entry was posted in Desserts, Recipes and tagged chocolate chips, cookies, dessert, peanut butter cups, Reese's. Bookmark the permalink.